Christmas carol sing-a-long: Nothing gets people all gooey inside like nostalgic holiday tunes. Frank, Bing, Nat, and Burl. 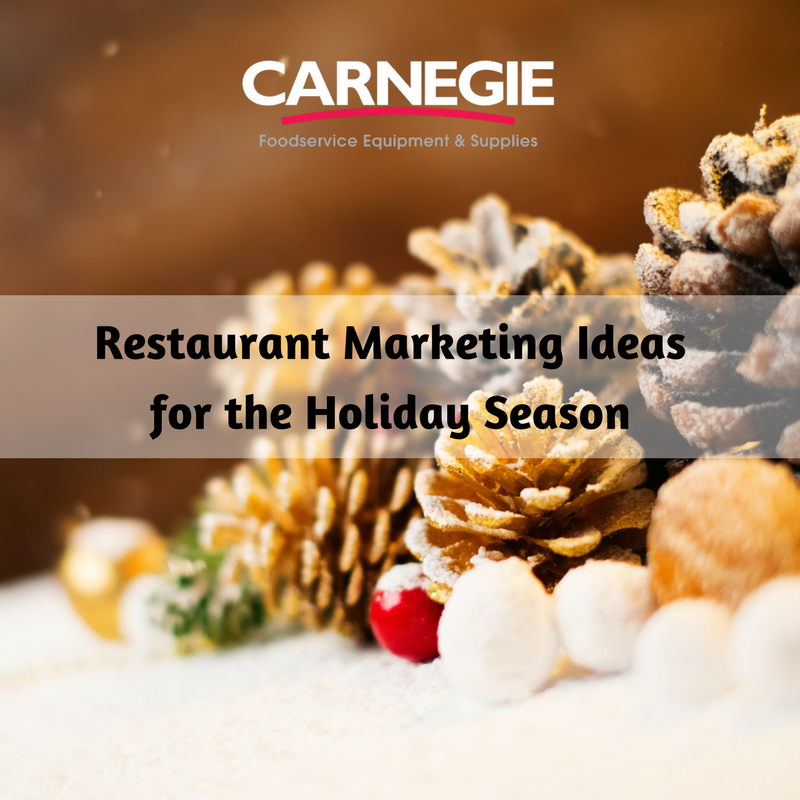 Pass out lyrics and invite your staff and guests to jump in and sing along throughout the evening while they eat and drink your holiday inspired culinary creations. Live holiday music: A string or brass quartet will add ambiance to an evening of elegant food and merriment. Create holiday inspired appetizers/desserts: Unleash your chef’s creativity by inviting him/her to invent limited time only appetizers or desserts with holiday themes and ingredients. Get into the holiday spirits: Create limited edition cocktails with holiday inspired ingredients such as candy cane, ginger snap, mulled wine, spiked & spiced hot chocolate. Design a brand new drink or put your holiday twist on a classic, such as a mojito with cranberries or pomegranates. Either way, your guests will enjoy a flavorful pre-meal adventure. Ugly Christmas sweater night: Let’s face it, we all have one. That dreadful sweater with holiday needlepoint your Aunt Anna gave you in high school. National Ugly Christmas Sweater Day has taken the world by storm. Get in on the action by inviting your staff and restaurant guests to wear their most awful holiday sweater one night this season. Let people vote and give a free drink or dessert to the wearer of the worst holiday sweater. Holiday trivia night: Restaurant patrons play a holiday inspired trivial pursuit against each other. One savvy trivia winner per game wins a coupon for a free dessert or appetizer to use on their next visit. Coupon for a free dessert/appetizer in the New Year for every gift certificate purchase of $100 or more. Leverage a larger event in your area: In Altoona, the historic Mishler Theatre has holiday shows and other events starting on December 2nd. Consider offering theatre goers a themed special that they can enjoy before or after the show. Just have them show their tickets to get the special! Check your area’s local events calendars to see what your restaurant might leverage to increase sales.